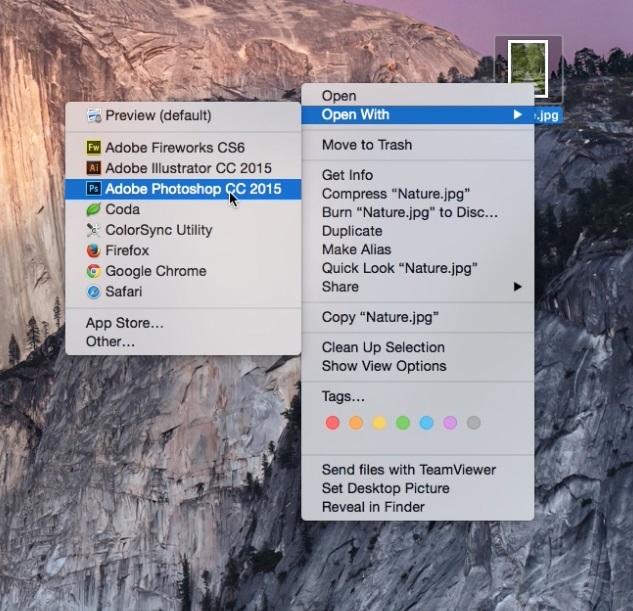 Right click the image you want to edit, and select open in Photoshop. In the top menu bar, go to Filter – Filter Gallery. Photoshop will then take you to a separate window where you can begin the editing process. 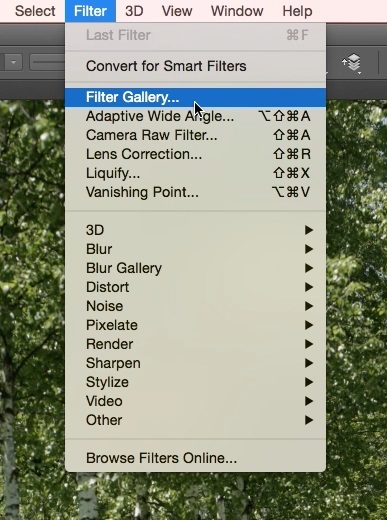 The Photoshop Filter Gallery is very similar to using the adjustable filters on Instagram when you edit a photo. On the right hand side you will notice several style drop down menus. Artistic, Brush Strokes, Distort, Sketch, Stylize, and Texture. Click the dropdown arrow of the style you’d like to explore and begin finding a look that you like. 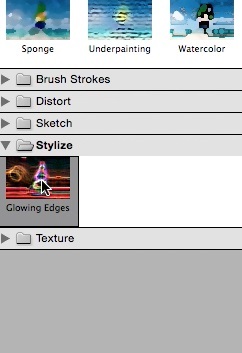 As we skim through the various filters, you can see the customizable parameters change on the right hand side. It’s important to note, that depending on the RAM in computer, it may take longer to render each filter to your image. 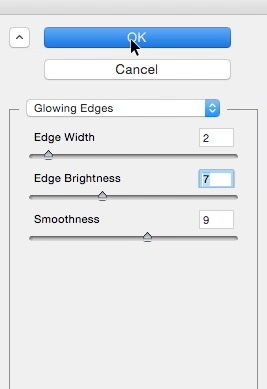 Lets select Stylize – Glowing Edges. Once you adjust the sliders to your liking, click “Ok” in the top right hand corner of the screen. 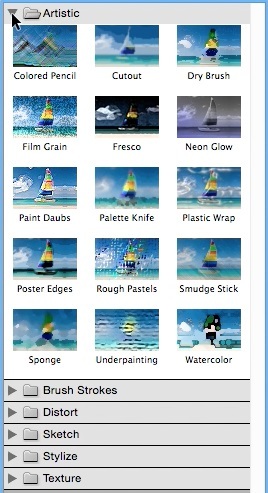 You have now successfully learned how to use the Photoshop Filter Gallery.